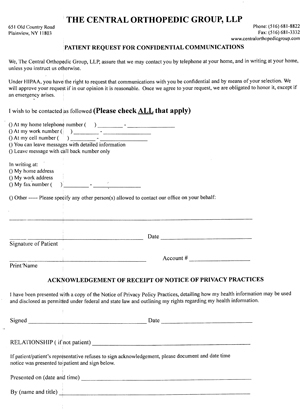 At the Central Orthopedic Group, we believe that the easier it is to seek and begin treatment, the easier it will be throughout the course. 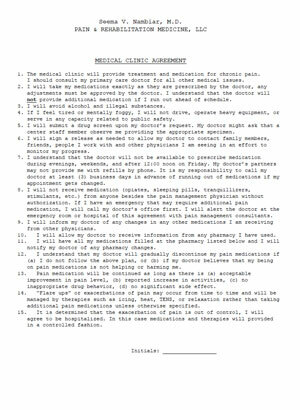 That's why we've made our patient & physical therapy forms available to you with just the click of a button. 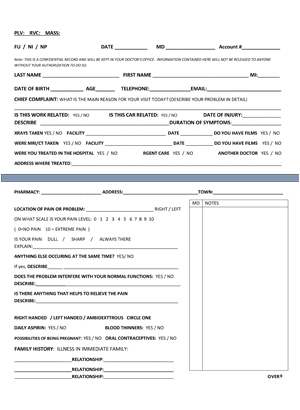 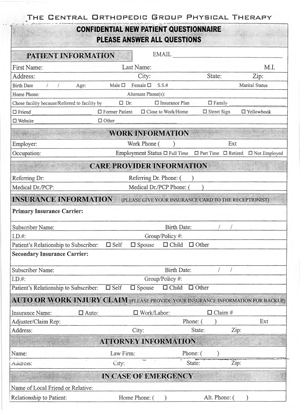 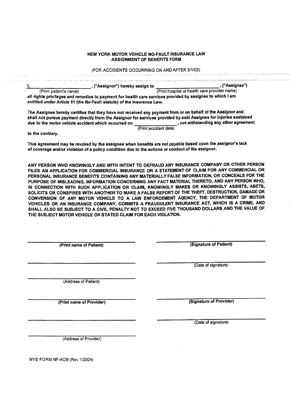 Click below to download any of our patient forms. 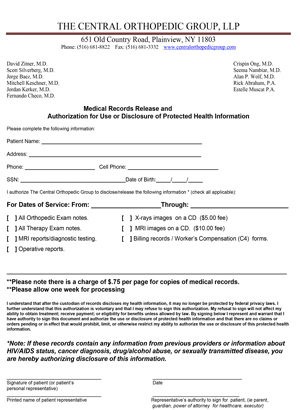 Click the orange buttons to download and print any of our medical forms, and bring them with you when you visit our office to expedite the process. 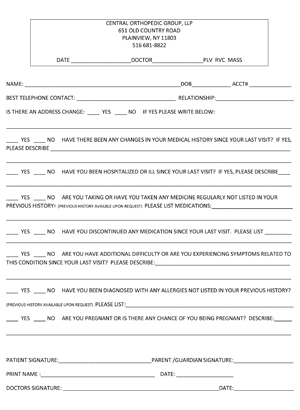 Please fill the forms out in their entirety. 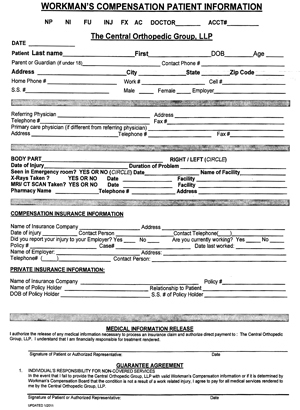 For any questions on which forms you may need for your visit, feel free to contact us. 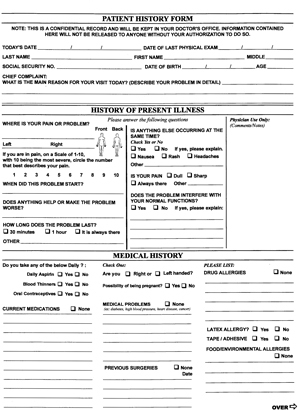 You may need to download the latest version of Adobe Reader to proceed.